Zuerst hat Siri den Termin verraten, dann folgte die offizielle Presseerklärung. Die diesjährige Worldwide Developer Konferenz findet vom 13.6. bis 17.6. in San Francisco statt. Früher mal hat Apple emails rausgeschickt um auf seine Worldwide Developer Conference, welche traditionell im Juni jeden Jahres stattfindet, aufmerksam zu machen. Diesmal hat Siri den Job übernommen und plapperte den Termin freizügig aus. Die offizielle Pressemitteilung folgte auf dem Fuss. 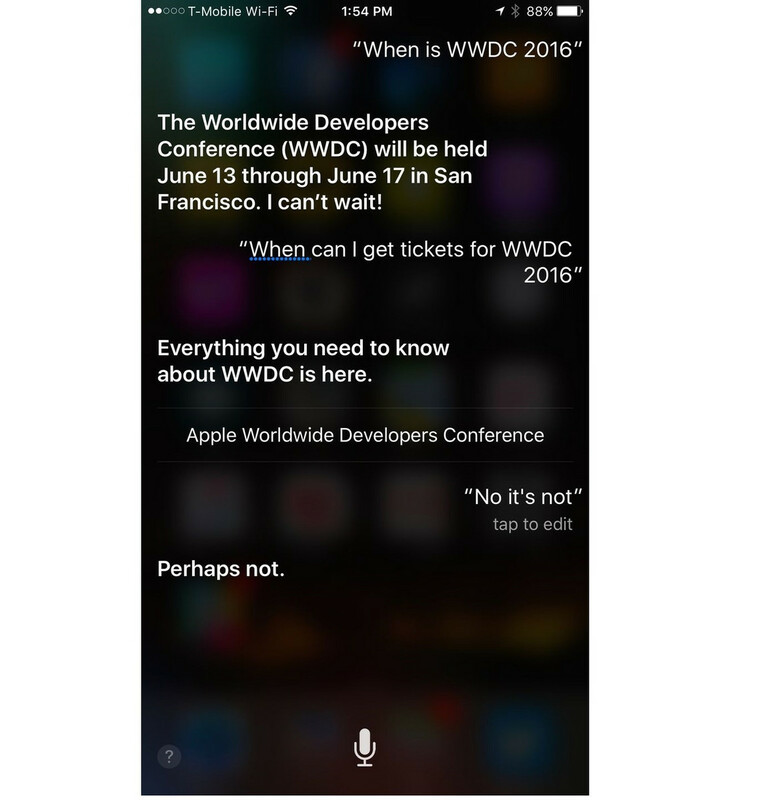 Letztes Jahr hat Apple auf der WWDC iOS 9, watchOS 2 und OS X 10.11 El Capitan angekündigt. Auch gänzlich neue Produkte fürs Apple Universum werden immer wieder gern auf den Entwicklerkonferenzen verkündet. Das berühmte "One more thing" war letztes Jahr beispielsweise das Release von Apple Music, mit dem der Hersteller in Konkurrenz zu anderen Audio Streamingdiensten wie Spotify trat. Für 2016 erwarten wir natürlich wieder größere Updates zu iOS und OS X, letzteres will der Hersteller zur WWDC gerüchteweise in MacOS umbenennen. Für das mobile Betriebssystem iOS wird wohl das 10. Jubiläum verkündet. Ob auch neue Hardware vorgestellt wird, ist umstritten. Es gibt Gerüchte, dass die kommende Apple Watch 2 im Juni erhältlich sein soll, allerdings legt Apple im Rahmen der WWDC den Focus im Allgemeinen auf seine Software. CUPERTINO, California — April 18, 2016 — Apple® today announced that it will hold its 27th annual Worldwide Developers Conference (WWDC), hosting the creative talent behind the world’s most innovative apps, from June 13 through 17 in San Francisco. At WWDC, Apple’s developer community comes together from all corners of the globe to learn about the future of Apple’s four software platforms — iOS, OS X®, watchOS® and tvOS™. 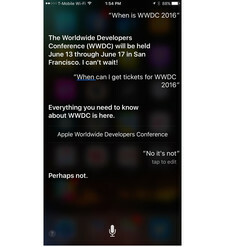 Developers can apply for tickets via the WWDC website (developer.apple.com/wwdc/register/) now through Friday, April 22 at 10:00 a.m. PDT. Tickets will be issued to attendees through a random selection process, and developers will be notified on the status of their application by Monday, April 25 at 5:00 p.m. PDT. For the second consecutive year, there will be up to 350 WWDC Scholarships available, giving students and STEM organization members from around the world an opportunity to earn a ticket to meet and collaborate with some of the most talented developers of Apple’s ever-growing app ecosystem (developer.apple.com/wwdc/scholarships/). Additionally, this year, we will provide travel assistance to up to 125 scholarship recipients to ensure aspiring developers with financial limitations have an opportunity to participate. Apple, the Apple logo, OS X, watchOS, tvOS, iPhone, iPad, Apple Watch, Apple TV and Mac are trademarks of Apple. Other company and product names may be trademarks of their respective owners.